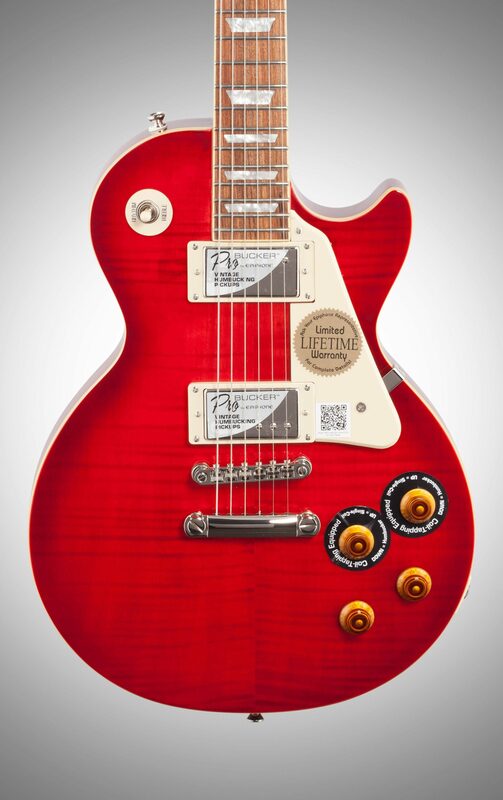 The Epiphone Les Paul Standard Plustop Pro Electric Guitar offers the legendary LP Standard sound with a stunning flame maple top. 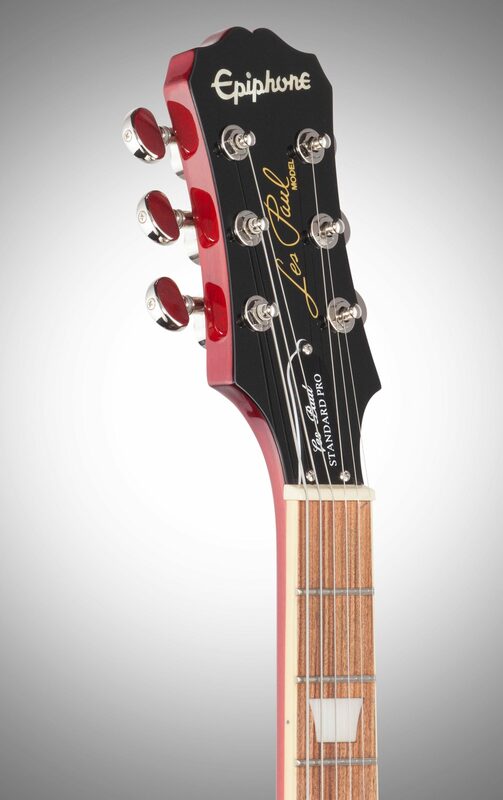 Other features include a solid mahogany body, set mahogany neck, pau ferro fingerboard, cream body and fingerboard binding, and nickel hardware. 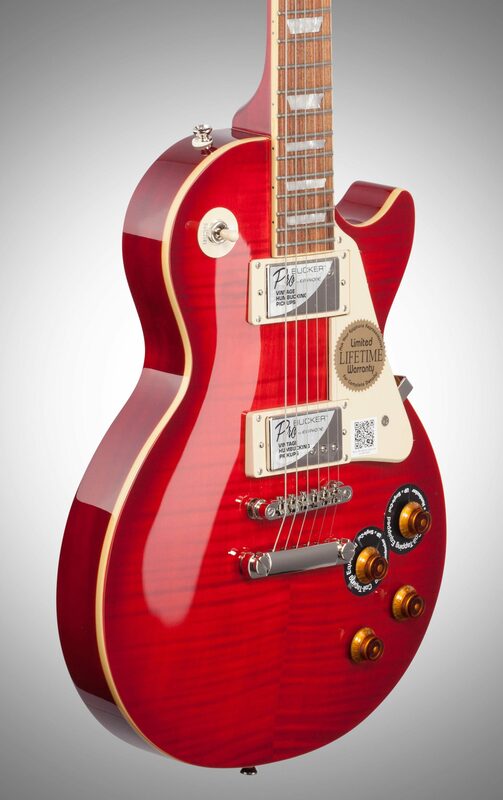 The Les Paul Standard Plustop Pro is designed with Epiphone ProBucker humbucker pickups that boast warm tones and deep, soulful distortion. The Tune-O-Matic bridge and LockTone stopbar tailpiece add seemingly unending sustain and make string changes easier. 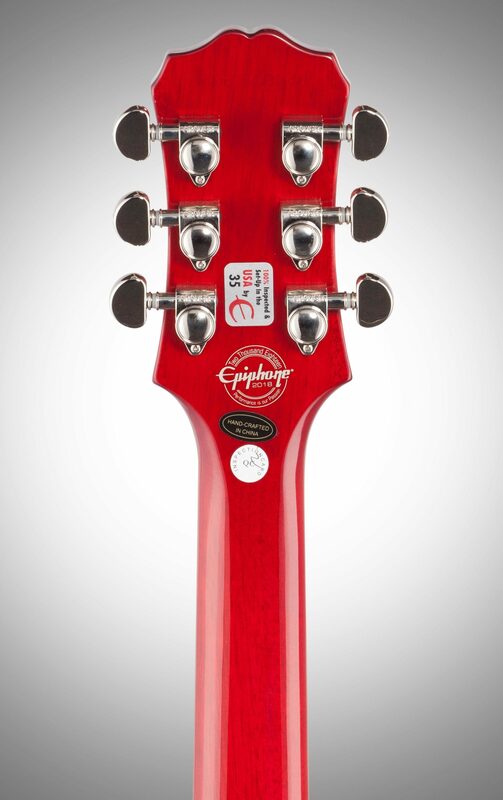 With all these features and more, the Epiphone Les Paul Standard Plustop Pro Electric Guitar sets a standard for guitars in its price range. Overall: I ordered it on a Friday and it arrived on Tuesday and that was with the free shipping! I was very impressed. The guitar is absolutely beautiful and plays like a dream. Being on disability in a wheelchair and unable to work for the last 25 years my credit history is basically non-existent. No other company would extend me the credit but zZounds did. It was the only one and it created a new lifetime customer! Their customer service is great, their merchandise is top notch and I would recommend zZounds to everyone! Overall: First, a big thanks to Zzounds for the pay as you play payment plans. Now on to the guitar....this thing is great! After changing the strings to a smooth set of Elixir nano web strings, a nice fretboard conditioning, and resetting the action, this thing plays and sounds amazing. The Probucker pickups have a full, clear, impressive tone that thrive on mids and highs but can be pulled back for that beautiful classic bluesy tone. 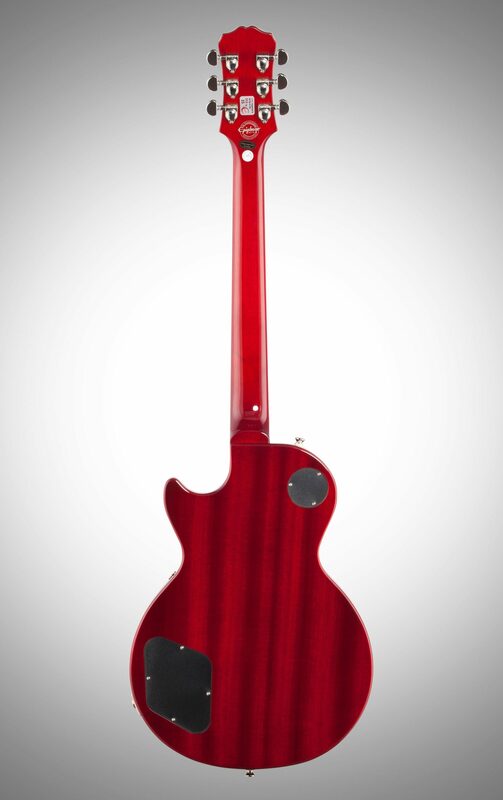 Its got great sustain that you can feel through the body of the guitar as you play. 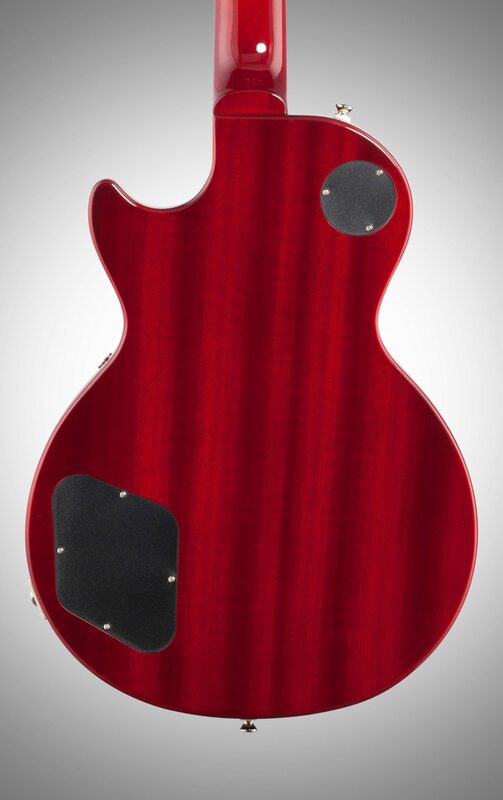 The maple top looks great. It has a nice, solid feel. Its one of those guitars that will only get better the more you play it. 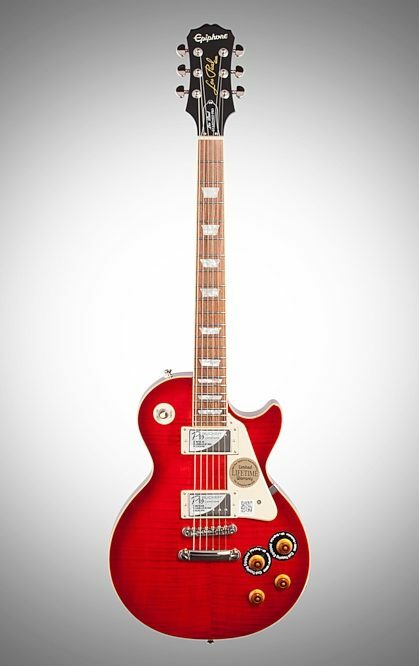 Is it a Gibson standard?...no. However, its just as nice if not better then a Gibson les paul studio. 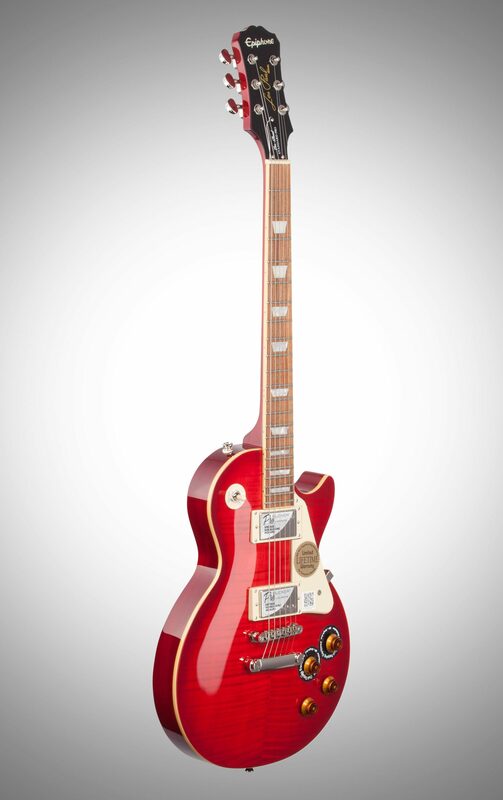 If you're in the market for a les paul and can't afford the 2k price tag, then this beauty is what you want.